We want to thank all the people we have worked with in our short existence and we are glad that you trust us. Here a a few nice things that people say about us. 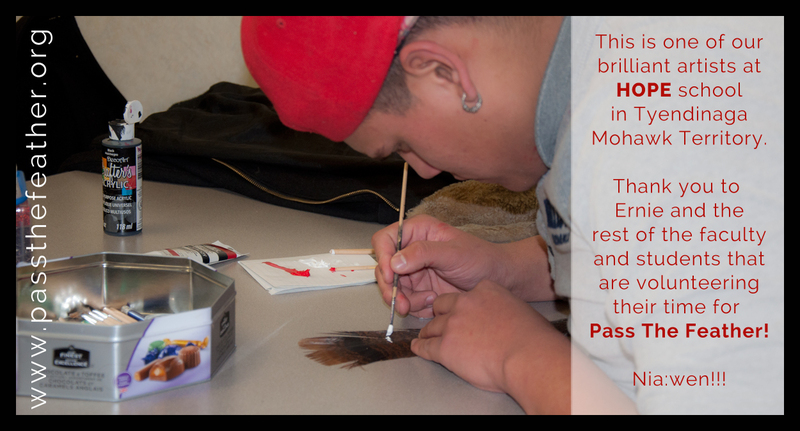 I have recently become involved with Pass the Feather Classroom Art and Knowledge Exchange. 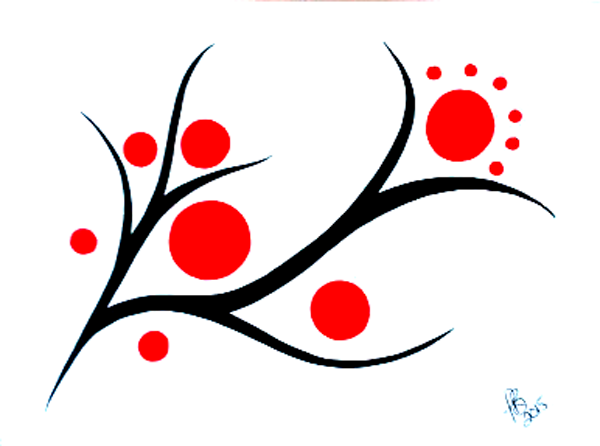 Their program, Preserving and Promoting Indigenous Art is a valuable endeavor. The creativity and ability shown by the young upcoming artists need a voice. Pass the Feather can and will do this. I will continue to support them and ask individuals and groups do the same. I am a visual artist and writer living in Oakville ON. My name is Tsiokeriio Brant. 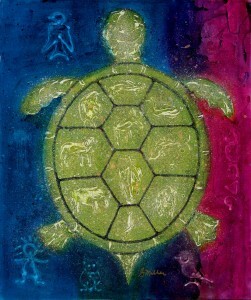 I am a Mohawk artist from Tyendinaga Mohawk Territory, Ontario. I work primarily with paint, leather, wood and iron. I had the chance to work alongside Dawn Setford from Pass the Feather, which is an organization that works in the best interests of Aboriginal Artists, as well as employs them. This organization is incredible, as it is raising money to help underprivileged communities gain access to art supplies and classes. Dawn is awesome to work with - she is very strong in her ideas and how she plans to follow through with them. She is also very trustworthy and has the best interests of our culture. It is my pleasure to offer reference to Dawn Setford, owner and creator of Pass The Feather. I have had recent opportunity to work with Dawn and found her to be very courteous and professional. Dawn's interest in First Nations culture and art forms is evident in her commitment to her work and I wouldn't hesitate to engage in future work with Dawn. I recently have had the pleasure of working with Dawn Setford - Pass the Feather on a Fundraising project she had put together. We had contact a few times before meeting in person and I found her to be an enthusiastic Lady striving to put the best interest of my culture into a positive light. I have found her to be trustworthy and generous in all our dealings. I would continue to support Dawn in any endeavor she tries. The native crafts that I produce and promote brought me to meeting Dawn through the organization of Pass the Feather via social media. We were in contact and then I was hired to fill a wholesale order of dreamcatchers for a fundraiser they were having. Pass the Feather produced the materials and a work order was placed. I enjoy working with Dawn and look forward to future opportunities. She’s a very pleasant lady and we communicate well with each other. She promotes what she does very well and great to work with.